Sports theme graphic on walls and inlaid into booth tabletops. Planter with colorful greenery in the center of the room. 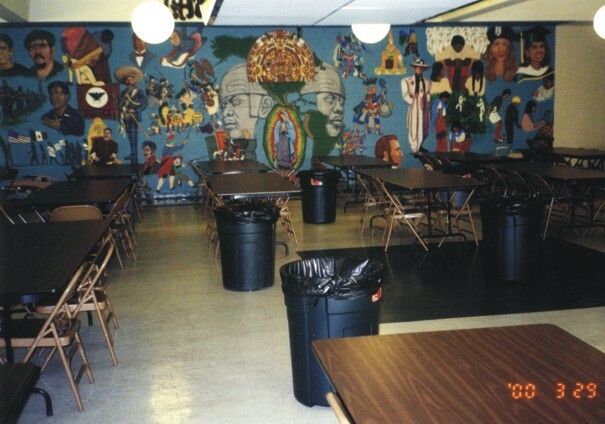 Before: While the mural is interesting and colorful, the table and steel folding chairs are dull, dull, DULL! 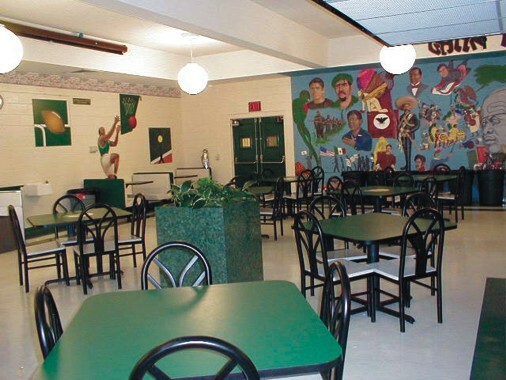 After: The school colors were used to create a lovely, attractive dining room. Note the movable planter in the middle of the room with leafy greenery.